How's that for timing? The same day I post my final review from Series 6 and lament on the long wait for Series 7, it goes up for pre-order at site sponsor BBTS, with an expected arrival date of November. Woot! Bigger photo and pre-order links after the clicky. 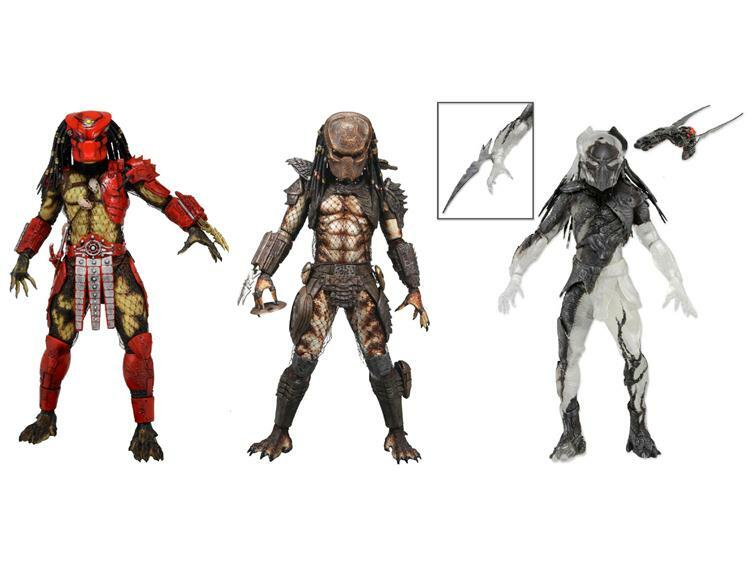 This wave consists of "Big Red", which is actually from a Predator fan film, a cloaked Falconer done in the same style as the Berserker from the last Toys R Us Exclusive 2-Pack complete with robo-Falcon, and a masked City Hunter, which appears to be a straight up repack of the one included in that same TRU 2-Pack, but apparently now with a bloody skull and spine accessory. 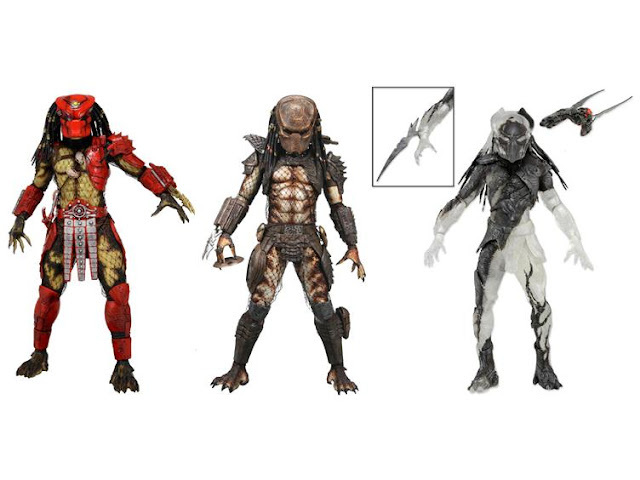 BBTS has the case and set available for pre-order, as well as singles of Big Red (which is already pre-sold out!) and City Hunter. Look for these to ship in November.